Our Aeternitas collection is a celebration of key classic styles that never age. 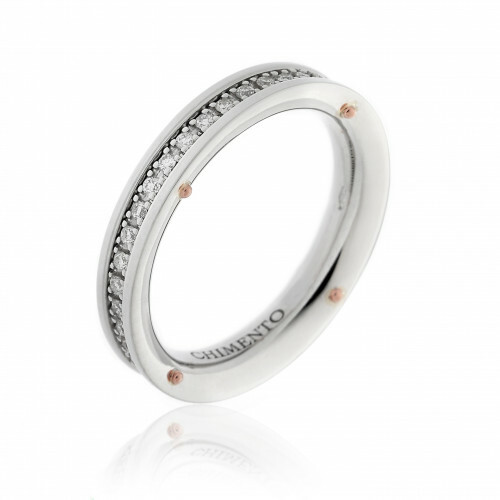 Band rings with a uniform shape representing eternity and perfection. Jewels with a classic and unisex shape, embellished by a sequence of diamonds in single or double rows. 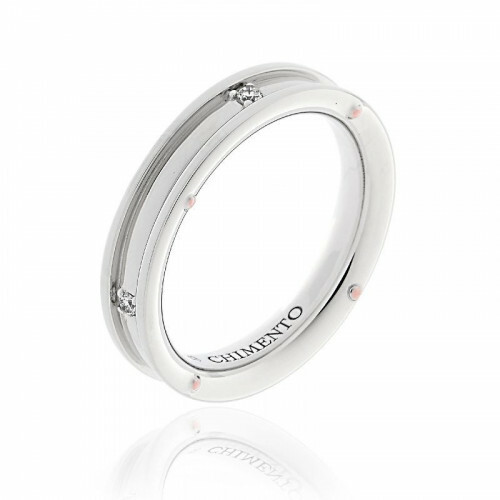 Aeternitas wedding band ring 18 kt white gold with 0,03 ct. diamonds. 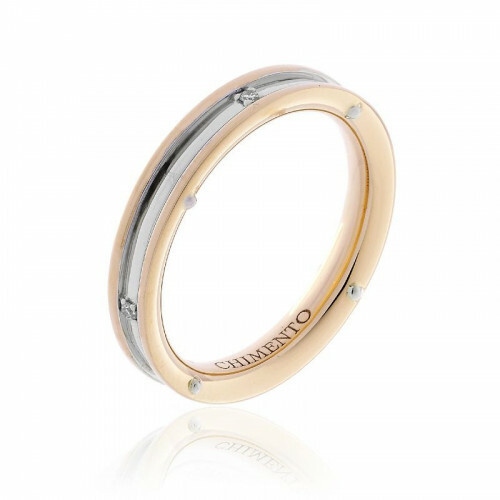 Aeternitas wedding band ring 18 kt yellow gold with 0,03 ct. diamonds. 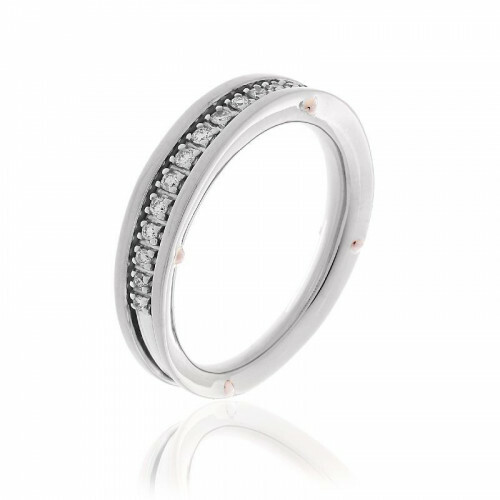 Aeternitas wedding band ring 18 kt white gold with 0,07 ct. diamonds. 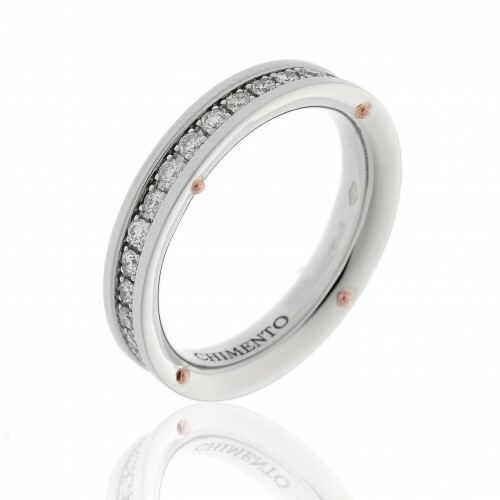 Aeternitas 18 kt pink gold band ring with 0,07 ct diamonds. Aeternitas wedding band ring 18 kt white gold with 0,12 ct. one row diamonds. Aeternitas 18 kt pink gold band ring with 0,12 ct diamonds. 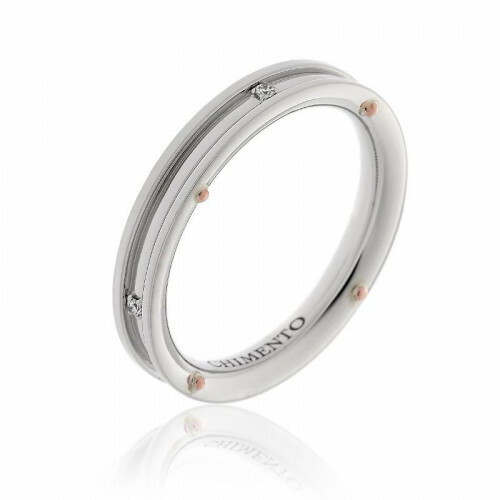 Aeternitas 18 kt white gold band ring with 0,22 ct diamonds. 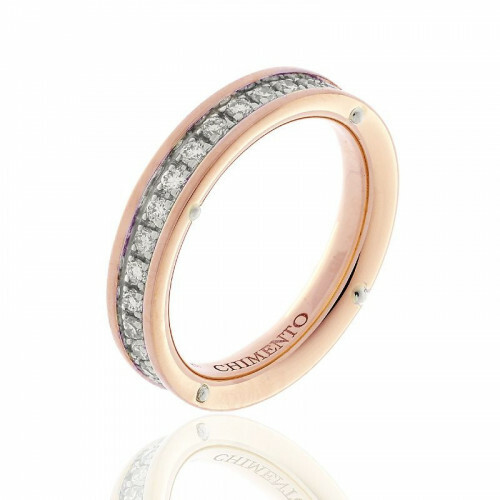 Aeternitas 18 kt pink gold band ring with 0,22 ct diamonds. Aeternitas wedding band ring 18 kt white gold with 0,31 ct. one row diamonds. 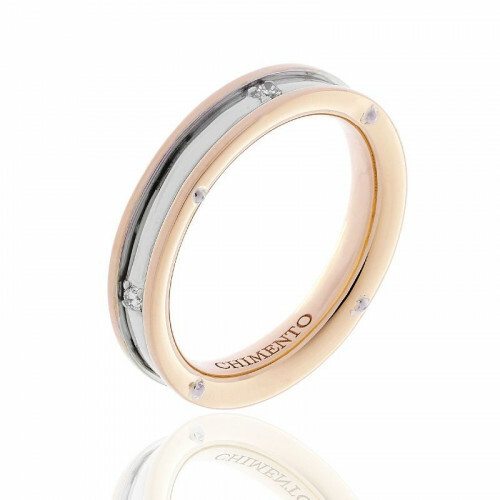 Aeternitas 18 kt pink gold band ring with 0,31 ct diamonds. 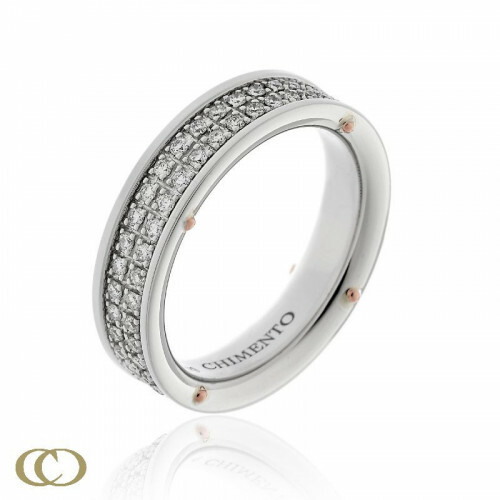 Aeternitas 18 kt white gold band ring with 0,58 ct diamonds. 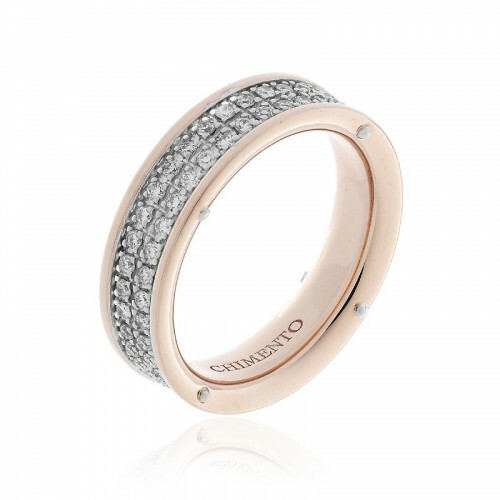 Aeternitas 18 kt pink gold band ring with 0,54 ct diamonds. Aeternitas wedding band ring 18 kt white gold with 0,62 ct. double row diamonds. 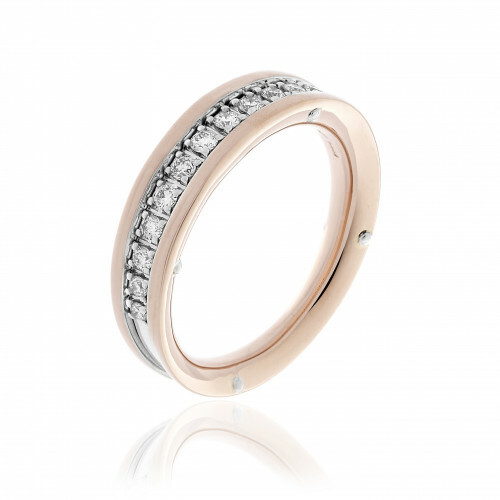 Aeternitas 18 kt pink gold band ring with 0,59 ct diamonds.